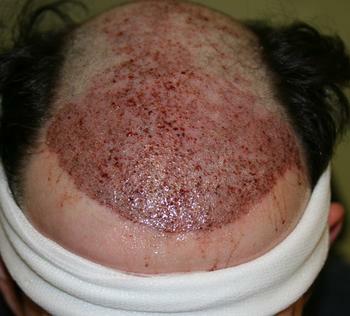 Does all hair eventually recede behind a hair transplant? 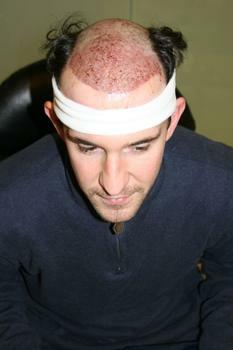 I’m thinking of having a hair transplant and am concerned that the hair will eventually recede behind a hair transplant making it look ridiculous - is this true? Good question. This is why grafts are placed all behind the hairline as well. 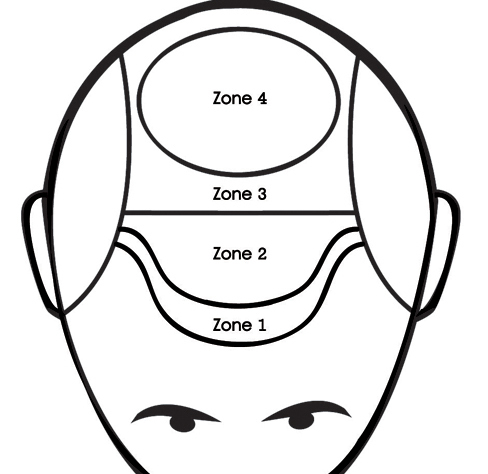 Zones 1 and 2 should be implanted. That way you have a new hairline but all behind the hairline as well, so you do not thin out right behind the hairline and end up right back needing another procedure a year or two later. See my post op photos. I not only had my hairline done, but all behind it as well, essentially the first whole 1/2 of my head. 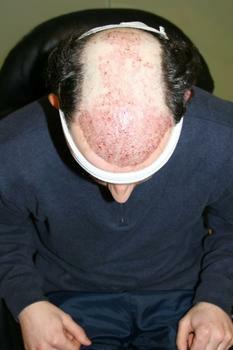 get on some kind of meds or regime that will halt your hairloss. dont just go for a HT and think its going to be the complete answer. Hair loss is progressive, almost regardless of age, sometimes faster at times and sometimes more miniaturising of the hair rather than loss, but it does continue. A HT is not a miracle cure and should not be seen as one, a HT will replace lost hair in an area and can give the illusion of having a good head of hair back again, but even this resource is finite. The question you are asking is all about planning, having relatively small hair line or frontal third work done it has to be in keeping with your patterning of hair loss now and potential in the future if it can be assessed to a degree. Also and importantly it must be assessed against what your donor can give now and long term. A HT should blend into your native hair, cover any miniaturisation you have so there is no potential hole or gap between the two, dependent on hair characteristics it maybe needed to go deeper into the native hair to ensure this blend, but realistically no need to kill off hair if it is healthy and may have a long life still. As hair loss is hard to predict meds will play a part, especially in younger patients or those with minimal thinning otherwise you could find yourself chasing hair loss and needing another op almost before the last has grown out, not a great scenario. Also in higher NW cases, the peripheral areas, the boundary between donor and recipient, this needs to be protected from dropping further and opening the recipient area up to a larger surface that maybe the donor can replenish.